Richard Thomas Composite doors are made to measure and come in a full range of colours and with a variety of security features and options. We specialise in offering two of the most popular composite doors on the market; Solidor and Hallmark. One of our specialist design consultants will walk you through the benefits of the different options available. Our Composite doors include a Robust VEKA Halo 70mm Reinforced Outer Frame and a Chamfered Frame Profile option, ensuring they contain the strength to withstand any force and a profile which increases the difficulty to tampering. As our Composite doors are renown for their security, all of our Solidor range of doors are successfully tested to PAS24 for Enhanced Security. The leading standard in the industry. 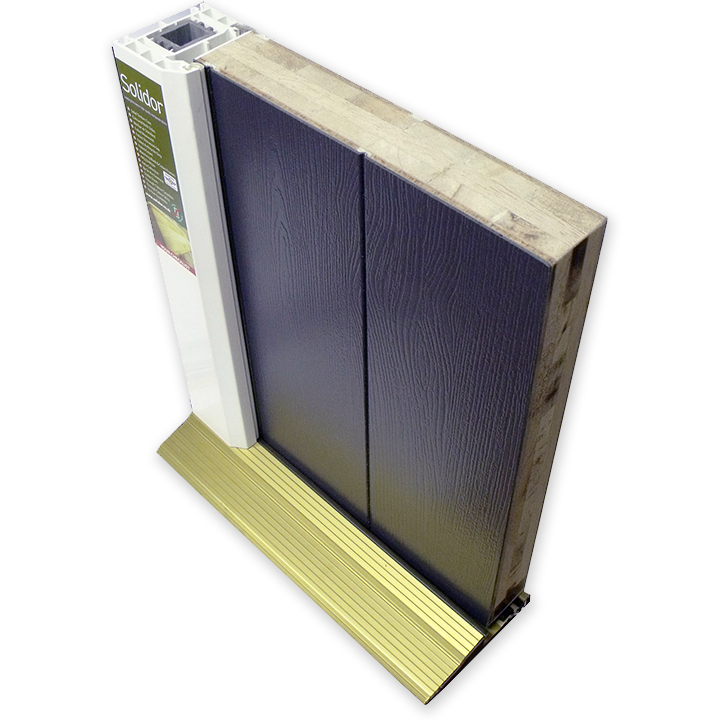 Tested to BS 6375 for Weather Performance, you can rest assured that our doors stop draughts and increase your homes energy efficiency. 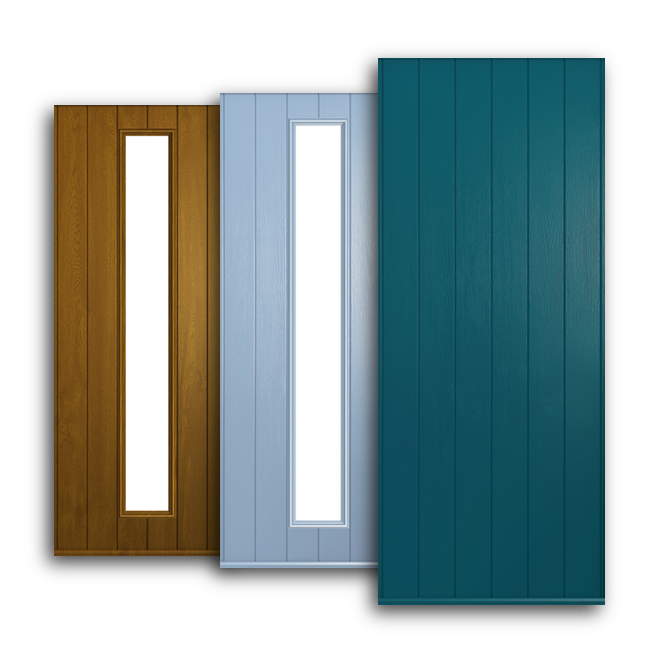 Our Composite doors are available in a myriad of colour palettes and available with exclusive Door and Glass Designs.